We’re launching Austin & Houston. 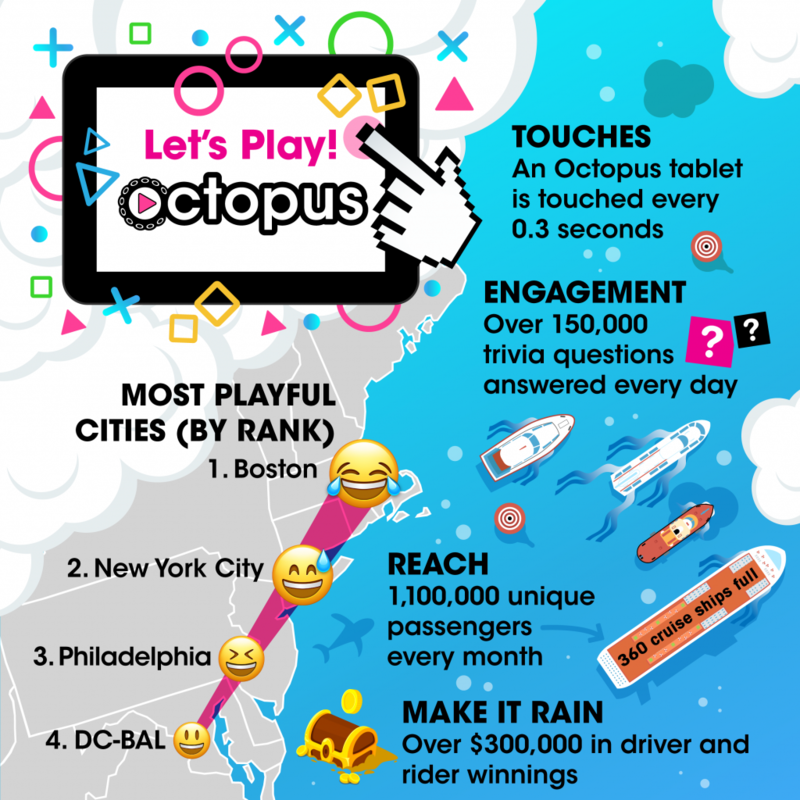 Help us spread the tentacles! Active drivers may refer TX friends and earn $25 each. Need Referral Cards? Charging Issues? Our drivers continue to earn tons of money, and we have big improvements coming soon (pssst – instant payouts). Introducing points rewards! Now when you reach 5,000 points, you’ll get an Octopus YETI tumbler to keep your drinks hot/cold for hours. We released a new app version this week with a new game room and other bells/whistles. New games and leaderboard coming by March! Passenger gameplay infographic below – enjoy!